A warehouse is organic. The forklift trucks, the people, the goods… It is a wasps’ nest that is continuously mutating, with goods flows constantly arriving and leaving again. The logistics manager must ensure optimum control and guidance. This means an invisible system is indispensable. Without the right IT resources this simply cannot be achieved. Gian Schiava researches the options. Is this a simple question with a simple answer? Not really. Stock control is actually the search for a balance between what the customer wants and what the finance department wants. After all, too much stock also means too many costs. For reasons that include the emergence of e-commerce, the modern customer requires extremely short delivery periods and plenty of choice. Out of stock? Too much waiting? We’ll just surf to the next web shop and buy the article there. Not so long ago the warehouse was simply a balancing item, but those times are behind us. Good stock control is crucial and contributes to the bottom line. This is why this activity forms a part of the IT infrastructure, and the activities in the warehouse are aligned to market demand. Tracking all elements of stock information is a key factor in the selection of a good IT system. So, the dilemma is therefore the level of service in relation to stock costs. On top of this, the supply chain is becoming increasingly complex. There are more and more channels (multichannel/omnichannel), while the company is simultaneously serving different types of customer such as wholesalers, intermediary traders and the end consumer. Not so long ago the warehouse was simply a balancing item, but those times are behind us. Good stock control is crucial and contributes to the bottom line. The need to keep a firm grip on stock control can only actually be achieved with a good IT system. In essence the Logistics Manager has two choices. He can opt for a standard stock module within a complete ERP system or implement specialist software and link it to the central system. In the latter case one chooses a Warehouse Management System (WMS). The ERP system stands for “enterprise resource planning” and is simply software with which organisations support the processes within the company. The ERP often consists of modules each supporting a specific task. Obviously the advantage is mainly down to the integration and the overview. All stock systems, business administration and logistics are interconnected and everyone can use the information. Yet it appears that some sectors need more supplementary tools than others. Consultants will maintain that, for example, production companies with simple forecasting can work well with an ERP. Problems are also minimal if the stock is of relatively low value. ERP does sometimes fall short for complex stock management, however. 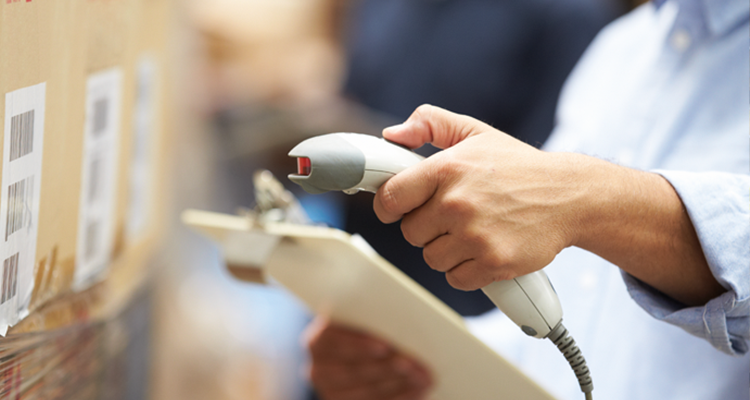 Stock optimisation (reducing the stock and therefore the costs) in particularly is often only possible with a WMS. 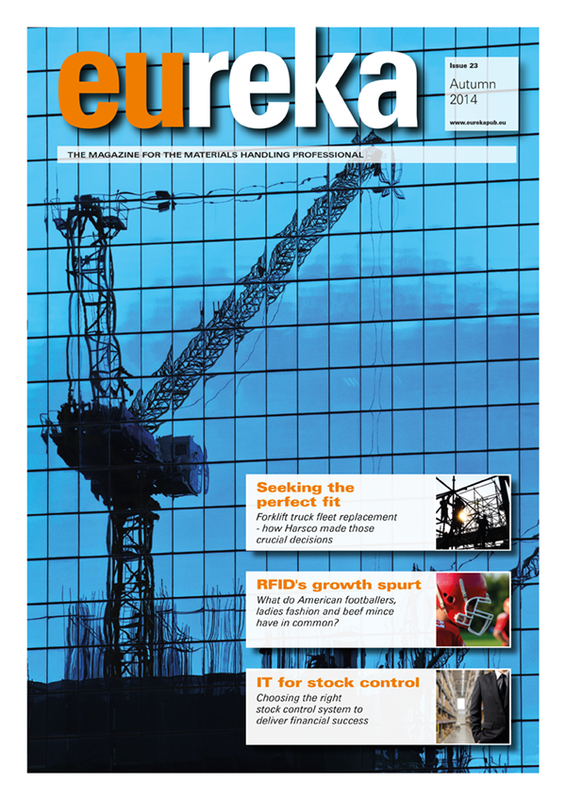 But suppliers of ERP systems are obviously not sitting on their hands. Improved modules will become available, always making it difficult for the Logistics Manager to choose between ERP or WMS. It always comes down to homework. Write down what you do and do not need and keep consulting with suppliers of both solutions. Warehouse trucks could be equipped with the latest technology that's essential in the everyday management of stock. 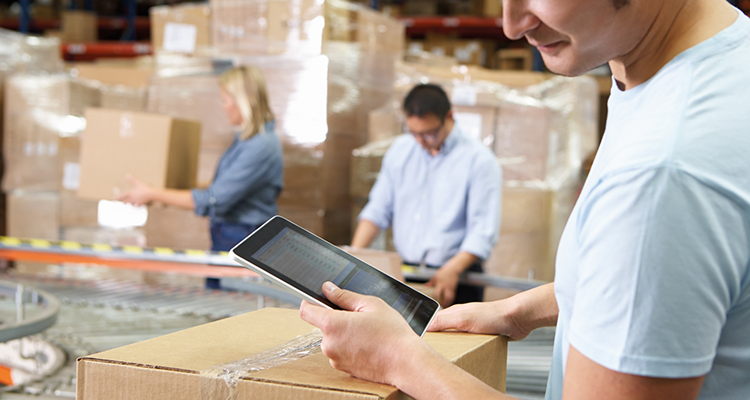 Is the Warehouse Management System a miracle cure? So the needs have been established and the logistics manager comes to the conclusion that a full Warehouse Management System is the preferred option. The decisive factor is often the lack of a real-time overview or the absence of a clear impression of what quantities of articles are actually in stock, with a too full warehouse as the result. The manager would also like tracking and tracing functionality along the chain, sufficient reporting tools, and expansion possibilities for the near future. In the case of a (partly) automated warehouse one also wants a warehouse control system (WCS) with which the machines can be controlled. An awkward dilemma is whether to start big or small. Costs can indeed be saved with an inexpensive system, but a necessary quick upgrade is awaiting around the corner. The added value compared to the ERP module is also limited. Here also, homework must be done and the current and future expenses must be calculated. A supplementary WMS must (partly) be able to pay for itself by reducing or limiting the required working capital, increasing the productivity of the warehouse personnel and reducing orderpicking errors. The modern reach truck or orderpicker integrates devices like cameras or offers intelligent storage possibilities to continue working in an organised manner. Record all data in only one system. This system must supply the other systems. Only create storage locations within the WMS. ERP records the stock level and does not need to know where the items actually are. Initiate stock corrections in the WMS, never in the ERP. Record master data on articles – such as article description, colour or price – in the ERP.These are communicated to the WMS at a later stage. Master data only relevant to the WMS such as length, width, height and weight can be immediately recorded in the WMS. Will the warehouse truck become a Christmas tree? If the correct IT system is introduced, this also has its effect on the rest of the warehouse. Obviously employees will have to be fully trained. New tools also have their impact and they accelerate the processes of storage, order picking and delivery preparation. Work methods can be completely changed around. Printing lists and manual picking are enhanced by a hand terminal or headset, or in the near future even by pick-by-vision. Order pickers then receive their pick orders through glasses with built-in camera. The pick-by-vision glasses are for that matter not only restricted to order picking. They can also be used for checking incoming goods, giving instructions for value-adding activities (value add logistics) or offering support for packing and dispatch processes. While hand terminals and headsets enhance order picking, new developments in technology such as pick-by-visions glasses could be the future of stock control. Manufacturers of forklift and warehouse trucks are already working on applications where orderpickers trucks, provided with AGV technology, can drive from the one picking location to the other. 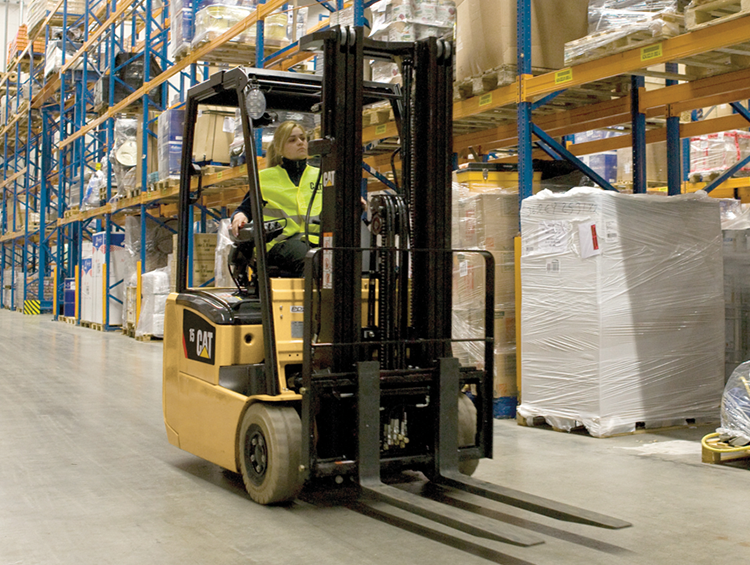 These new techniques will be increasingly integrated with the lift trucks used in the orderpicking process. Many forklift trucks will drive around like Christmas trees with all sorts of separate appliances and resources, but the modern reach truck or orderpicker integrates devices like cameras or offers intelligent storage possibilities to continue working in an organised manner. Manufacturers of forklift and warehouse trucks are already working on applications where orderpicker trucks, provided with AGV technology, can drive from one picking location to another. Obviously the desired situation will be that this is then controlled by the WMS. The challenge remains to combine the best of all these technological developments in one fully integrated application. ERP and WMS could merge to form a new application. This is an application whereby orderpickers, provided with glasses and headset, look into the warehouse enriched with visual information and talk to warehouse trucks. The logistics manager follows all transactions in real-time and watches over his operations with satisfaction. 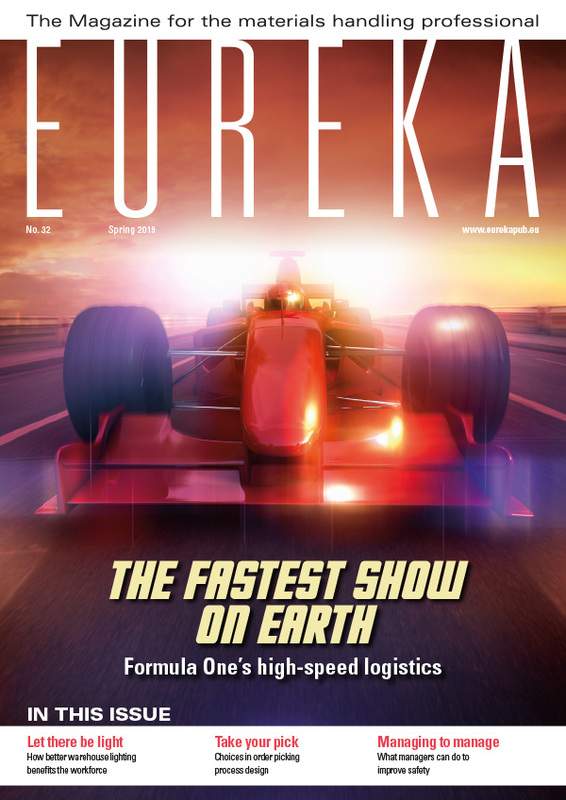 This article appeared in the 2014 Winter edition of eureka magazine.